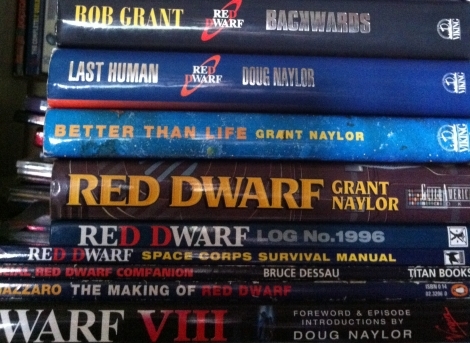 A history of Red Dwarf in print. There are four Red Dwarf novels. We all know that, of course - and if you don't know that, then you should head on over and read our two-part overview of the novels, how they came to be, and what they're all about, and then report back. But if you think that's the end of the story, then think again. 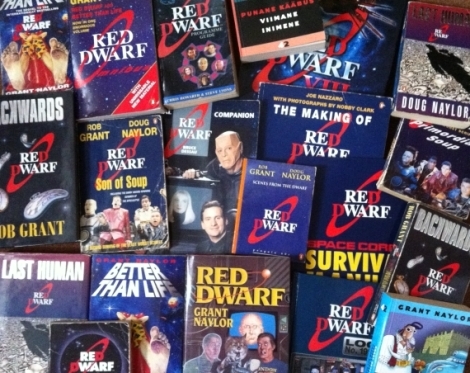 Almost since it began life as a TV series, Red Dwarf has had a long and varied history in print, with a variety of best-selling books based both in and around the show, not to mention all manner of international editions of the novels themselves. For the first few years of the show's life, the only Red Dwarf books you'd find on shelves were indeed the first two novels. Infinity Welcomes Careful Drivers was published by Penguin in paperback in November 1989, with Better Than Life getting a fancy hardback edition courtesy of the Viking imprint in October 1990 (and a paperback of the sequel following in April '91). The two novels were hugely popular, becoming immediate bestsellers, and would remain in print throughout the decade that followed. That same year saw Dwarfers across the pond get their own book, with a US release of Infinity in September by Penguin sci-fi/fantasy imprint Roc. This was followed by a similarly region-specific edition of Better than Life in March 1993, which for the first time had distinctly different cover art from the UK release, with a lovely shot of Starbug dramatically leaping from the shelves. In the UK, meanwhile, the first instance of Red Dwarf "remastering" was taking place, as the two novels were collected into an Omnibus that made a couple of minor changes to the text, and also included "bonus material" such as the original pilot script for The End. 1993 also saw some further, slightly more esoteric entries into the Red Dwarf publishing canon. First of all, Virgin Books published the first edition of their Red Dwarf Programme Guide. Written by regular Smegazine contributors Chris Howarth and Steve Lyons in a similar light-hearted style to their other TV reference guides, the book featured an extensive episode guide in addition to an A-Z miscellany of all things Dwarf. 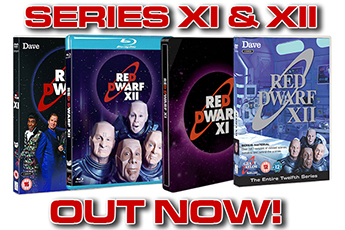 Initially covering only the first five series, revised editions would be published in 1995, 1997 and 2000 to cover each successive new set of episodes. Across the pond, meanwhile, perhaps the strangest Red Dwarf book ever was being made available to a relatively small audience. Courtesy of an imprint of Doubleday Publishing called Guild America, a special collected edition of the first two novels - in their original texts, not the Omnibus versions and with no bonus material - was made available to subscribers of a science fiction "book club" of the kind seen advertised in magazines (a pay a monthly fee, get a new book each time, sort of thing). 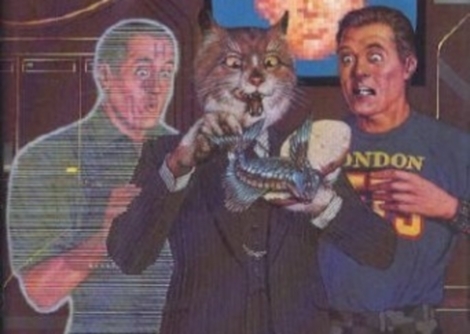 Its most notable attribute was a truly bizarre cover by an artist called Walter Velez, who appeared to have read the book without ever seeing the TV series - and so featured The Cat with an actual Cat's head, along with a white Lister! Back in the UK, the next publication to hit shelves - in May 1994 - was another non-fiction book. Joe Nazarro had accompanied the crew throughout the making of Gunmen of the Apocalypse, and the resulting tome, The Making of Red Dwarf, followed the episode from conception through to location shooting, audience taping and finally editing and post-production. With extensive material on the effects and model work, and an array of superb behind-the-scenes photos by Nobby Clark (not to mention a wonderful reproduction of the studio set blueprints), it was a deeper and more involving look at the production of the show than magazine articles had been able to manage. Although the series had entered its post-Series VI hiatus, the books continued to come thick and fast. Nicky Hook and Sharon Burnett's Official Red Dwarf Quiz Book arrived from Penguin in September 1994, and tapped into the growing hunger for trivia that Red Dwarf fans had come to display. A second volume, A Question of Smeg, would follow in October 1997. Despite the quality of these non-fiction books, however, fans were crying out for the next instalment in the series of novels. Hints had first been dropped about a third novel, tentatively titled The Last Human, in interviews back in 1993 - but when the book finally arrived in hardback in April 1995, it had lost both the definite article and one of its authors. 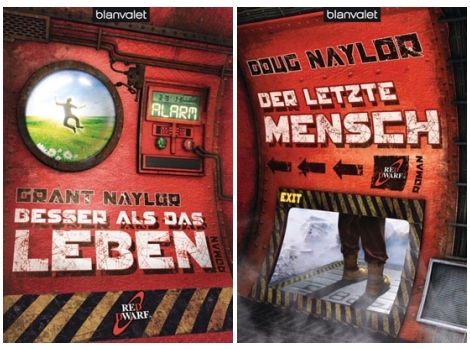 Instead, Doug Naylor had gone it alone, and Last Human picked up his version the story following the events of Better than Life. The usual paperback edition would follow in November. 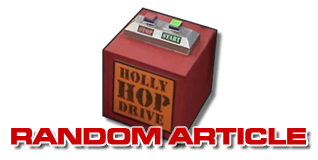 The TV universe was busy being expanded later that year, meanwhile, courtesy of an oddity called The Red Dwarf Log No. 1996, released in late 1995. Although ostensibly a week-by-week diary for 1996 - and although it could technically be used as such - it featured interjections throughout from the Dwarf crew themselves, as if they had owned and filled out the diary. It may sound strange, but it was a format that was enjoying some popularity at the time (other memorable fake-diaries included ones for Mr Bean and Fantasy Football League). Some gags were taken directly from the series, but others - including a range of brand new Space Corps Directives - were written by Paul Alexander, his first Dwarf-related work prior to writing for Series VII. But that's not to say there weren't still Dwarf books to come! In September '96, a sequel to Primordial Soup - titled, unsurprisingly, Son of Soup - featured scripts for Gunmen of the Apocalypse, Holoship, Camille, Backwards, Kryten and Me2, and showed fans just how much could be cut from an episode between script and broadcast, featuring as it did the full, nearly 45-minute-long version of Holoship. Another script book would follow in November, but Scenes From The Dwarf featured scene extracts rather than full episodes - released as part of Penguin's 60s series, it was a small pocket book that retailed for just 60p, but would go on to be one of the most sought-after Red Dwarf books of all. Three years later, the next book on the shelves certainly did fit into the Dwarf universe. Red Dwarf VIII, published in November 1999, was the first time a single series of the show had received a dedicated tome. A combination script book and behind-the-scenes guide, it felt almost like a DVD release in print form. Aside from the fact that the scripts featured deleted scenes, there were also episode introductions from Doug Naylor that served as a proto-DVD commentary, particularly when it came to explaining the various planned alternate endings. Wrapped up in a lavish hardback, it was arguably the most impressive Dwarf book to date. It would also, however, be the last tie-in book of any kind the show would see published in the UK. As the 2000s drew on, international publications became the order of the day, with a number of foreign publishers gaining the license to publish translated editions of the novels. The Czech Republic and Estonia were the first out of the blocks, with the Cerveny trpaslík and Punaane Kaabus series respectively launching in 2002. Both series featured distinctive and unusual cover art - with a surprisingly rude image appearing on the Czech Backwards, while the Estonian books had art from renowned cartoonist Hillar Mets that depicted assorted scenes from early on in the novels. Czech fans would get all four books between 2002 and 2005, while the Estonian books ceased publication with Last Human in 2003. The early 2000s also saw an explosion in the show's popularity over in Japan. Unsurprisingly, then, Japanese translations of the first two novels were published in 2003 - with cover art that drew on the Remastered-era CGI, reflecting the fact that those episodes had (albeit with altered title sequences) been the ones shown and released on DVD there. Twenty-first century Dwarf books weren't all about translations, though. An altogether different proposition hit specialist stores in the US and UK in February 2004 - and one that would arguably expand the Red Dwarf universe further and wider than it ever had been before. Pen and paper role-playing games are difficult to describe if you've never played them before - essentially, a group of people gather around with a source book of character traits and potential plot lines and describe their actions as a story unfolds, marshalled by a "game master" or GM. 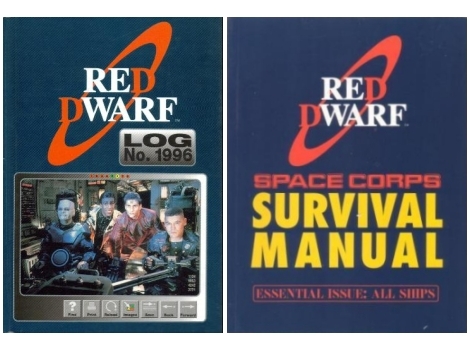 The Red Dwarf RPG, written by Todd Downing, draws upon (and expands) the array of species and scenarios conjured up by Rob and Doug in the show and novels, allowing players to create their own characters and go on a Dwarf-themed adventure. A fascinating curiosity, it was later joined by a Series Sourcebook (which turned every episode from Series I-VIII into a potential game scenario) and an AI Screen accessory. Meanwhile, back in the world of foreign translations, the prize for best international art surely had to go to the German Roter Zwerg books, put out by Blanvalet Taschenbuch Verlag in 2009 and 2010. Distinctive and characterful, the designs even unwittingly pre-empted the red interior and yellow warning tape stylings of the Series X set! 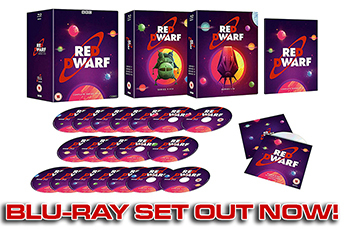 Explore the various Red Dwarf publications in the new dedicated Books section of our Merchandise database!